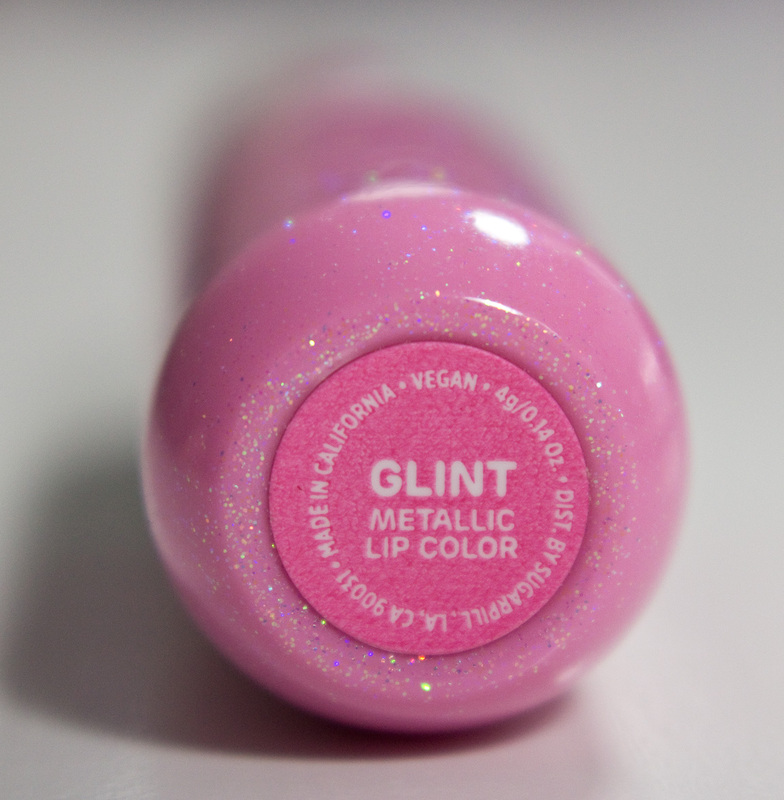 Sugarpill Pretty Poison Metallic lipstick in Glint. Sugarpill Pretty Poison Metallic lipstick in Glint bottom label. This lipstick is a dense matte formula that is evenly pigmented as you apply it. I found with this shades I needed two swipes to get full coverage of colour but this is because the formula is so dense that it apply very thinly so when you build it up it still thin on your lips with full coverage. The micro shimmer that makes up this gold shades feel very comfortable. Colour: Glint is an orange based yellow gold with a metallic finish. Wear: I got 6+ wear on their own on the lips. 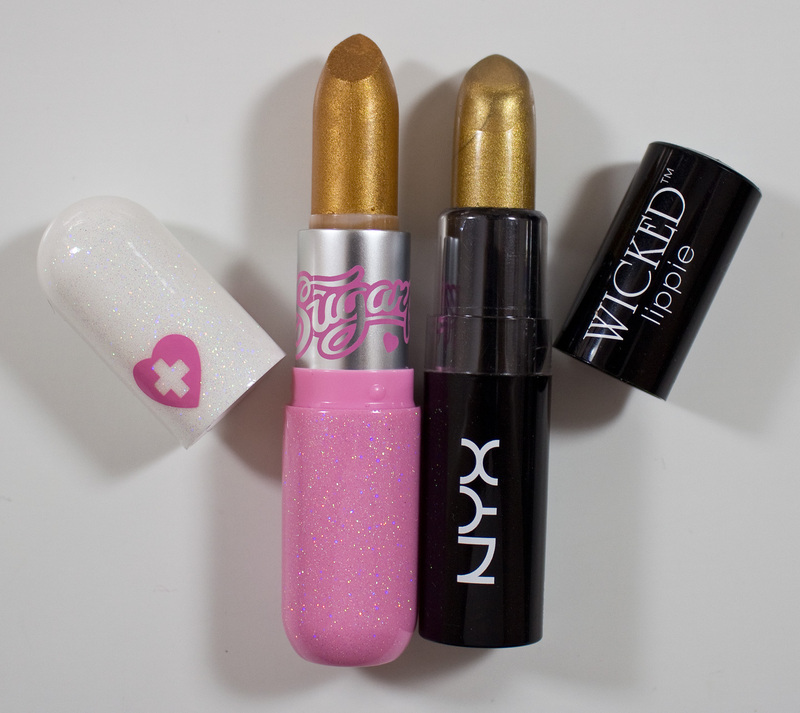 The lipstick tube and coated in rainbow micro glitter that is shaped like a capsule pill with the new Sugarpill logo. The Sugarpill word logo is also on the metal inner tube. These feel substantial without being too heavy. The box art is still the rainbow foiled added to the logo and product to add sparkle to the box art and colour coded labels. I wish the lipstick labels were also colour coded as well. Sugarpill Pretty Poison Metallic lipstick in Glint & NYX Wicked Lippie in Mischievous. The NYX Wicked Lippie in Mischievous is light less orange/yellow compared to the Sugarpill Pretty Poison Metallic lipstick in Glint. 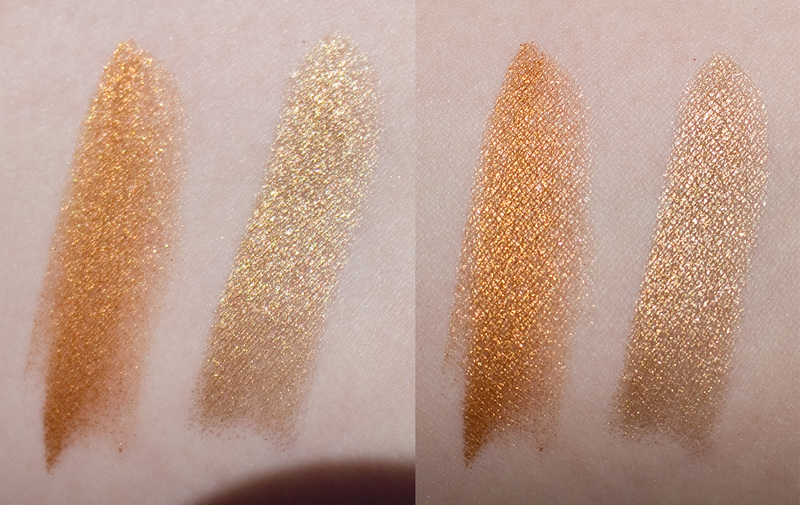 Daylight & Flash swatches: Sugarpill Pretty Poison Metallic lipstick in Glint and NYX Wicked Lippie in Mischievous.